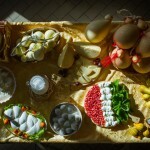 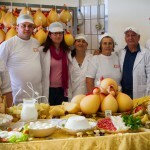 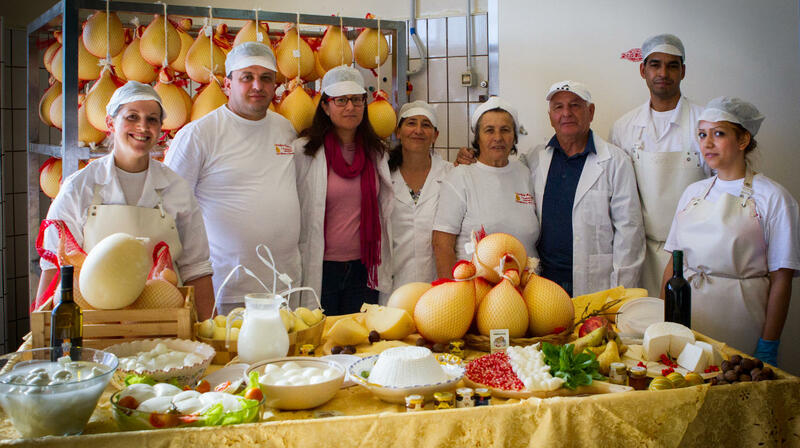 “The Caciocavallo is a typical product in great demand especially during summertime and religious holidays, when the small villages of the Fortore area return to be populated by sumnites, who normally live outside the regional borders and abroad”. 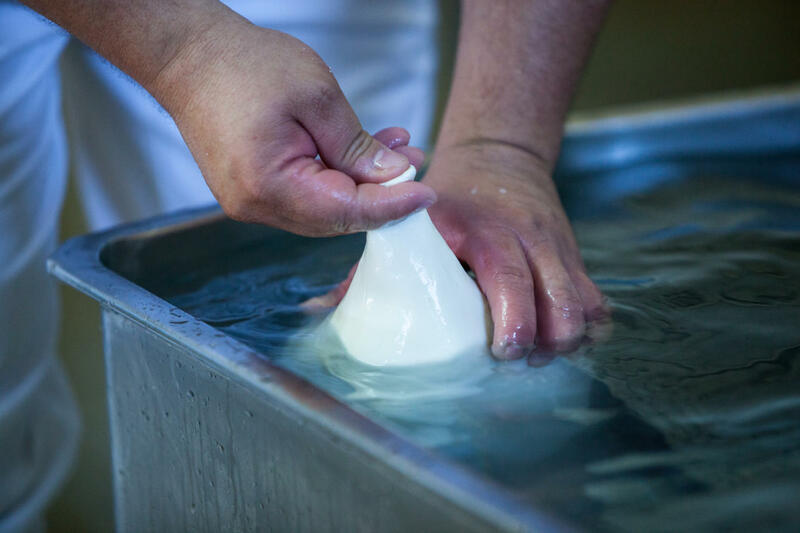 We are among the few to produce it following throughly the old techniques of processing, and being faithful to the sound dairy traditions of our territory. 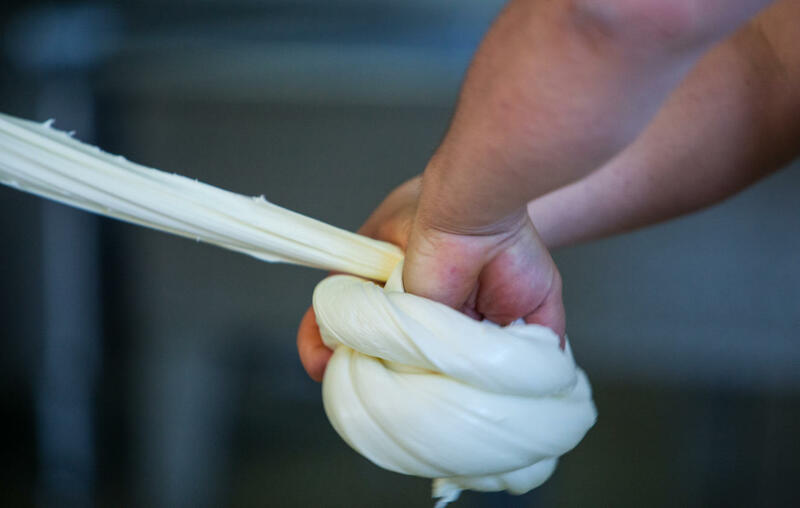 The great care which characterizes every stage of the production, as well as our mission to offer an excellent product, have always been our strenght and the guarantee of high quality of our Caciocavallo. 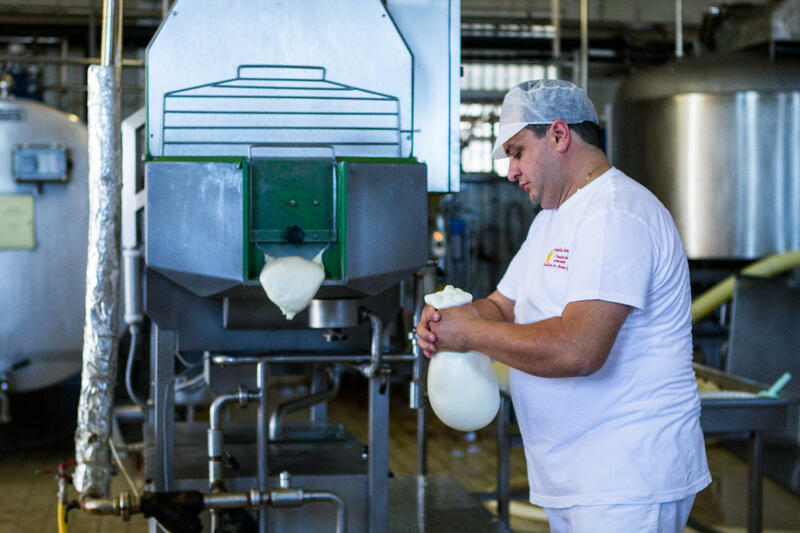 The manufacturing process is carried out in a modern building, designed to develop at the best way and with maximum hygiene and safety the different stages of production, all strictly certified. 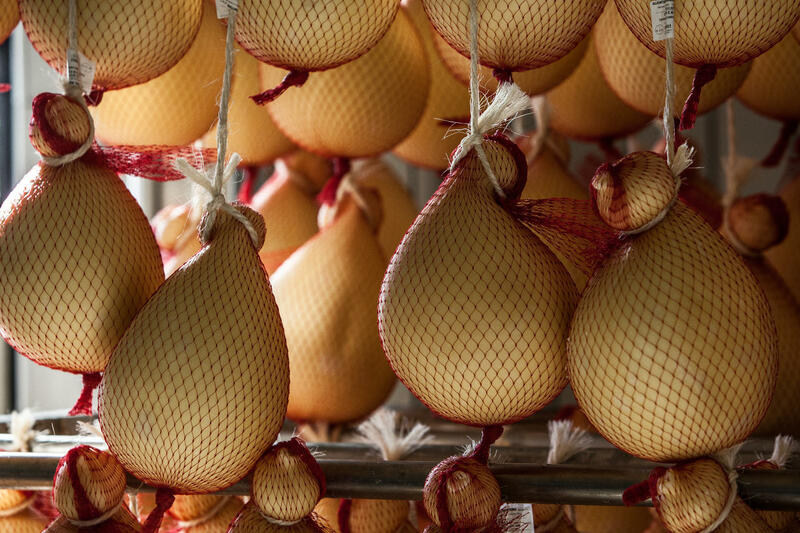 The caciocavallo is a hard, pasta filata cheese, pear-shaped with a distinctive swelling and neck. 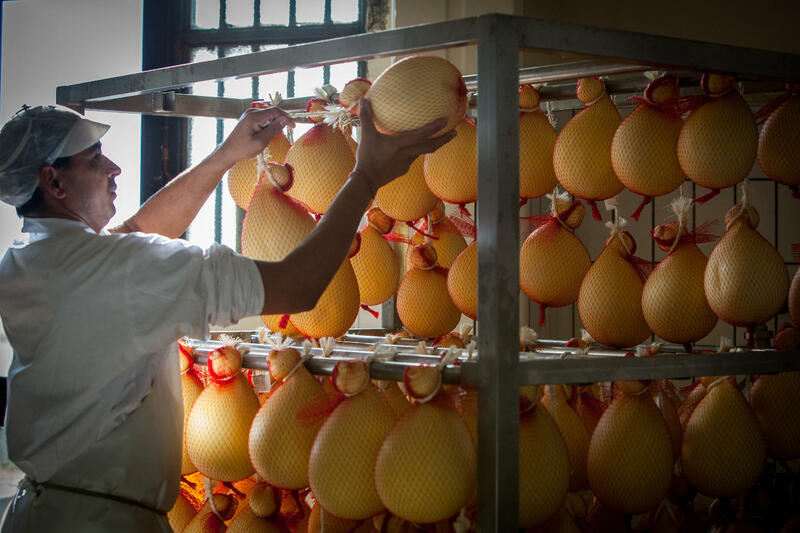 Externally it has a thin, smooth rind, yellow in colour, more or less intense depending on the degree of ripeness. 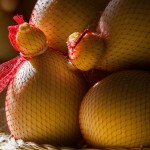 The texture is compact and a bit elastic, white or straw-yellow, without holes. 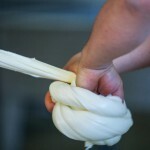 The flavour is sweet and delicate in the young cheeses, but slightly spicy in those matured. 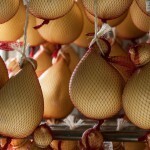 Its smell is pleasant and lightly pungent. 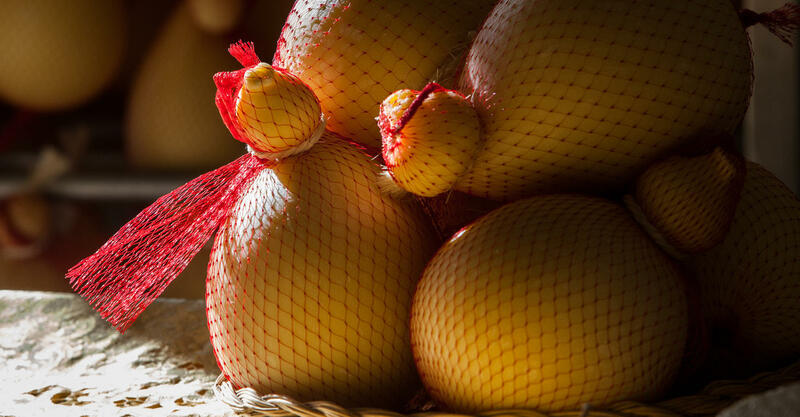 It is delicious tasted on its own, but also combined with honey or dried fruit. 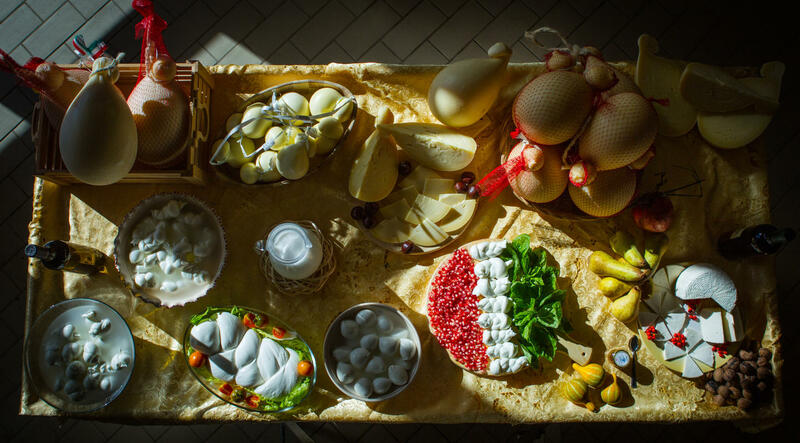 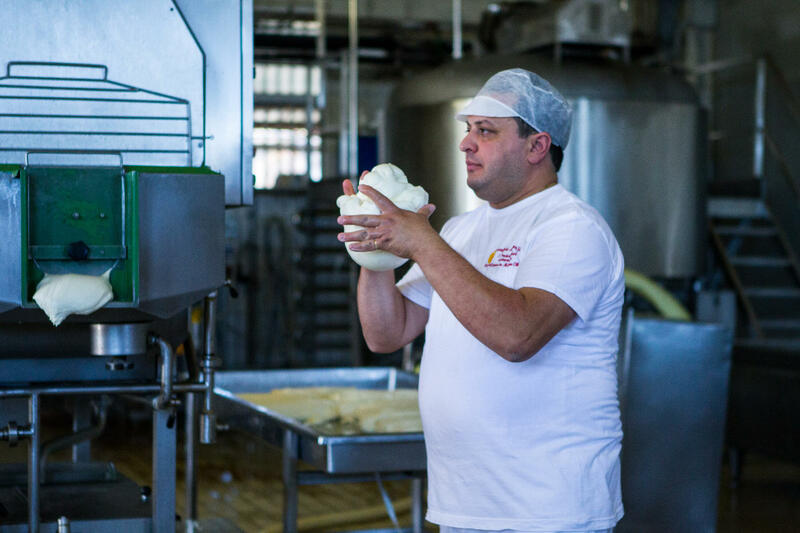 “Only savouring the taste of the real caciocavallo of Castelfranco in Miscano, you can appreciate the history, love and the sacrifices which lie behind the manufacturing of this typical product”.